Bob Marley. Who? I said, Bob Marley. Who? BOB MARLEY! Oh! Bob Marley? The Reggae original and modern day prophet? In honor of Bob Marley’s birthday last week, take a moment to read about his life and how his music influenced and empowered the lives of people all over the world. 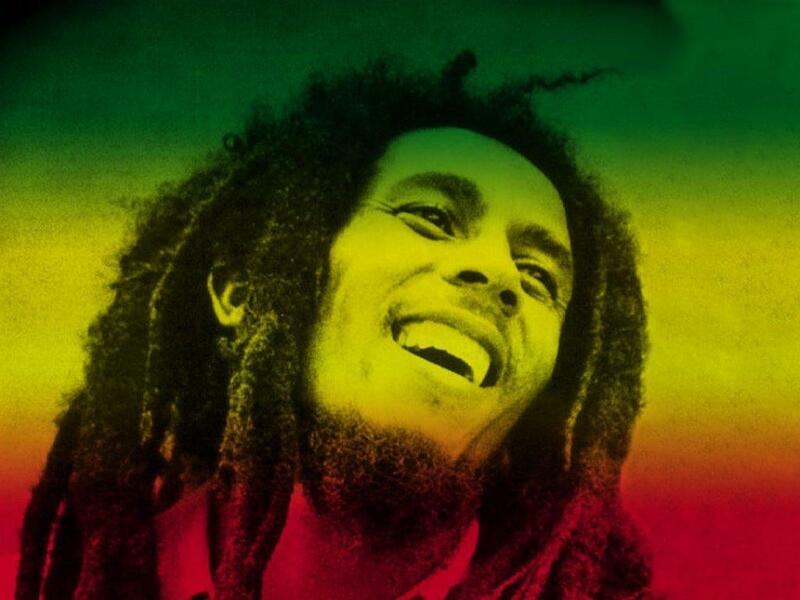 Born February 6, 1945, Bob spent most of his early life in the rural community of Nine Miles, Jamaica. Bob’s childhood provided a deeper cultural context and an aura of mysticism to his adult songwriting. In the late 50’s he moved to Kingston, in Trench Town, where quickly learned to defend himself against Trench Town’s rude boys which was a lifelong source of inspiration; Bob immortalized Trench Town in his songs “No Woman No Cry” (1974), “Trench Town Rock” (1975) and “Trench Town”, the latter released posthumously in 1983. By the early 60’s, the island’s music industry gave birth to an indigenous popular Jamaican music form called ska. Marley’s music talent took off at the age of 16 when he met aspiring singer Desmond Dekker, who would go on to the top the UK charts in 1969. Dekker introduced Marley to another young singer, Jimmy Cliff, future star of the immortal Jamaican film “The Harder They Come”, who, at age 14, had already recorded a few hit songs. In ’63 Higgs introduced Bob and Bunny to Peter (Macintosh) Tosh and The Bob Marley and the Wailers legend was born. The trio quickly became good friends, resulting in the formation of the vocal group, The Wailers. Despite the economical struggles during this time, by 1972 Bob received his “big break” when The Wailers got the opportunity to record their first full album Catch a Fire. They signed with Island Records, leading to several successes including an opening act for Bruce Springsteen and landing a spot in Britain’s top 40 with “No Woman No Cry.” Although the politically empowering lyrics gained large crowds of followers, the movement was not without conflict. In 1976, a group of people attempted to assassinate Bob and the Wailers during a pre-show practice; he survived a shot to the sternum. Bob remained strong after the incident and continued furthering his music career and spreading his message to listeners. He recorded several more albums including Exodus, Kaya, Survival, and Uprising, each infused with thematic elements of love, peace, and unity. His achievements gave him the opportunity to see the world and play for fans in numerous countries, but through it all he never lost sight of his home in Jamaica. In 1977 doctors discovered cancer cells in Bob’s toe, but due to religious beliefs he did not accept treatment. Over the years the cancer spread throughout his entire body and he became severely ill. In his last days of life he attempted to return home to Jamaica, but passed away before he completed his trip; he was only 36. Bob earned many awards throughout his life including the Peace Medal of the Third World from the United Nations, the Jamaican Order of Merit, and a Grammy Lifetime Achievement Award. He was the first international music star to represent Third World hardship through his career, originating from his Jamaican roots. Bob’s remains a Reggae legend to this day and his message is still alive not only in Jamaica, but across the world.